That seems odd. 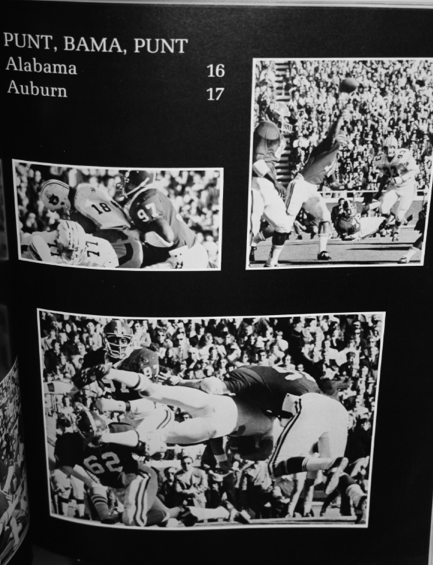 I can’t imagine the 1985 Glomerata bold-fonting the 1984 Iron Bowl as “Wrong Way, Bo,” or something. 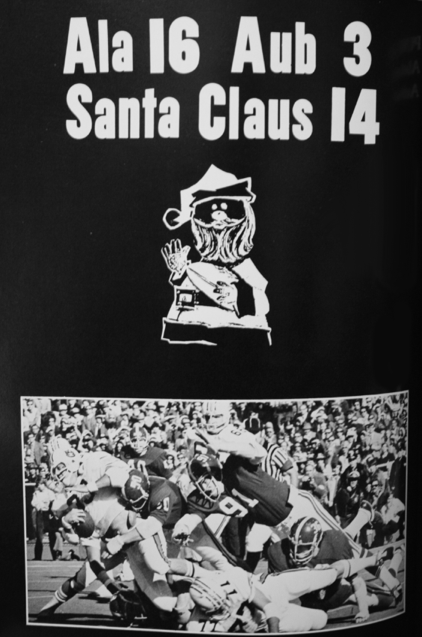 But apparently the miraculousness of it all was so overwhelmed both sides of the state’s football psyche, Bama yearbook staff felt no compunction about dedicating two self-deprecating-ish pages —the other games only got one—to what at the time was the most crushing Iron Bowl loss ever. See the best photos from that Christmas Come Early you’ll ever find here, here, and here. Either way, the guys in crimson & white come in 2nd place (or worse)!